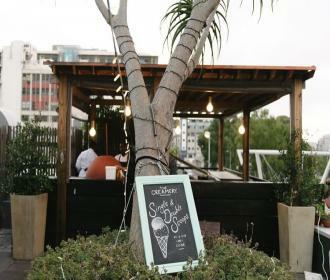 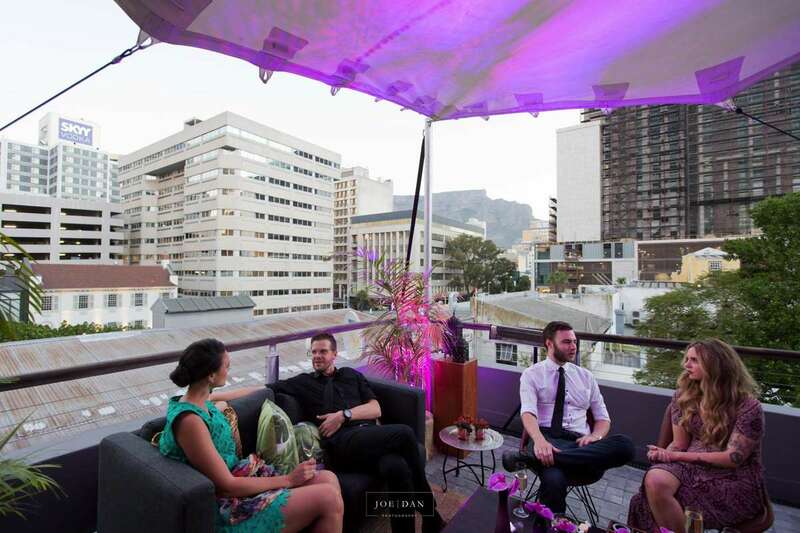 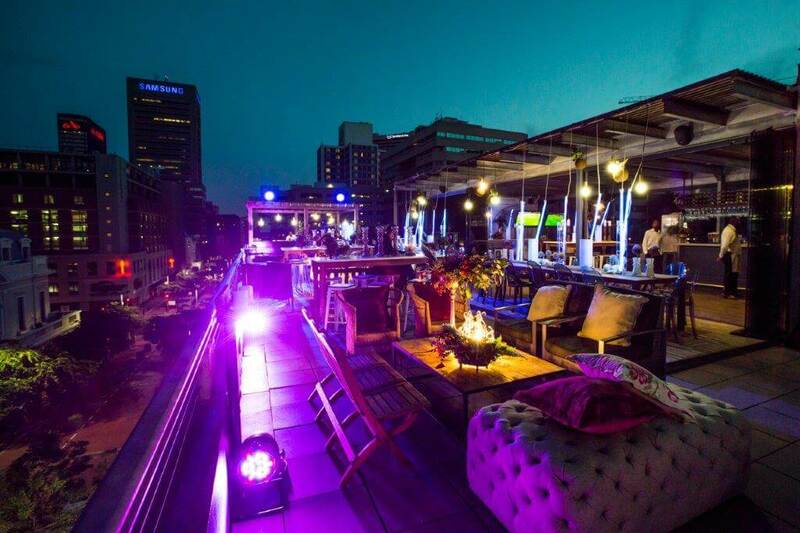 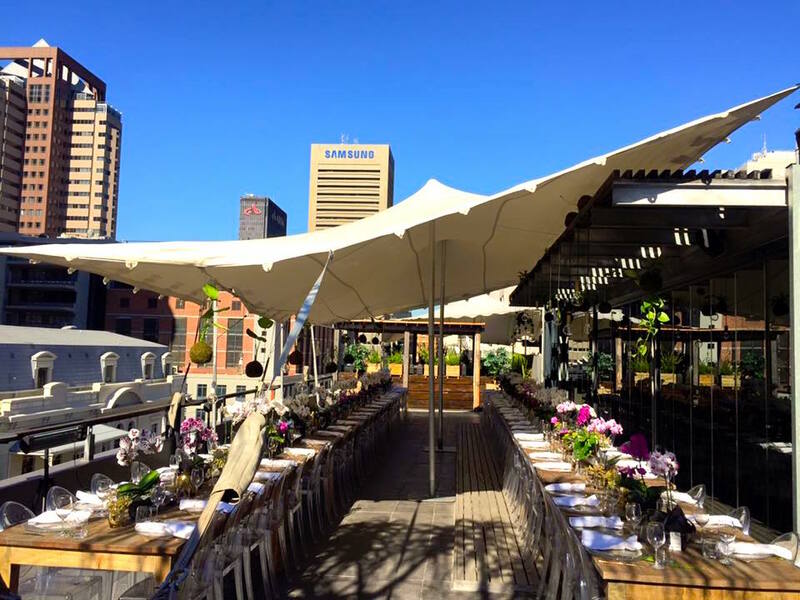 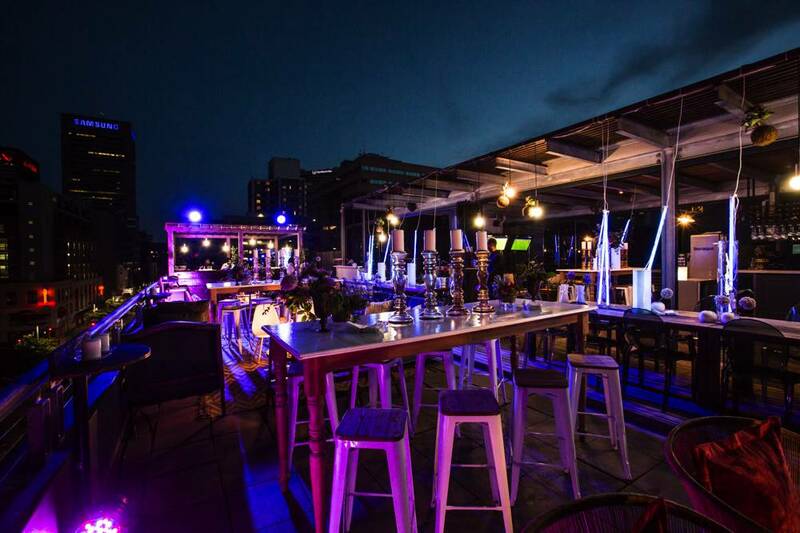 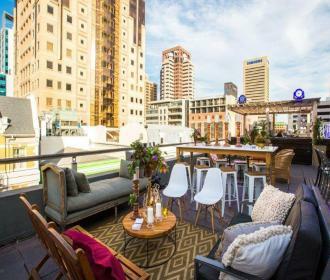 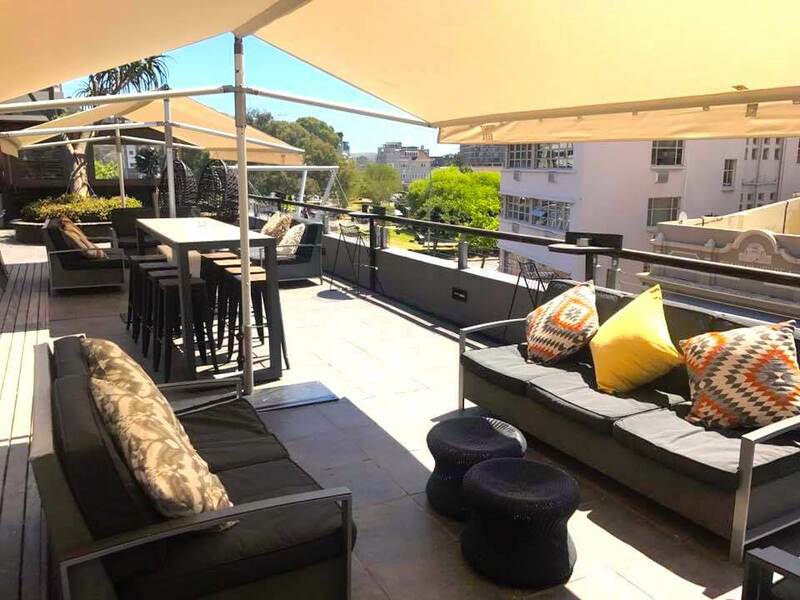 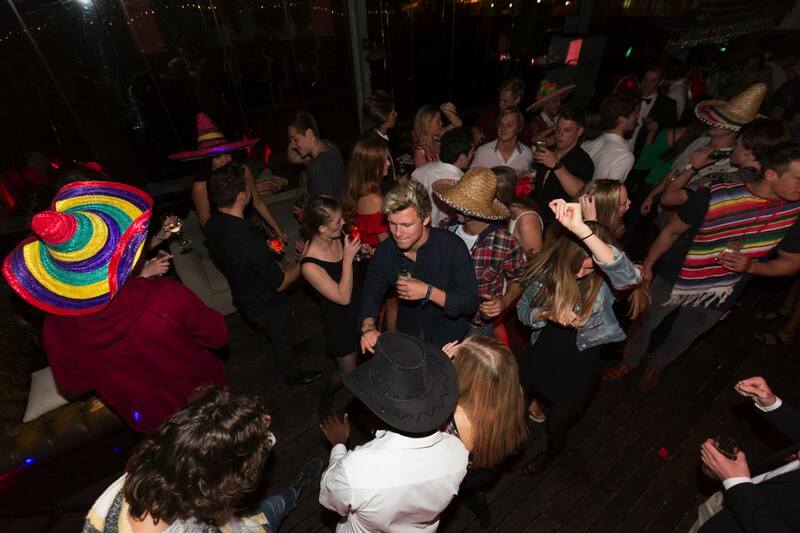 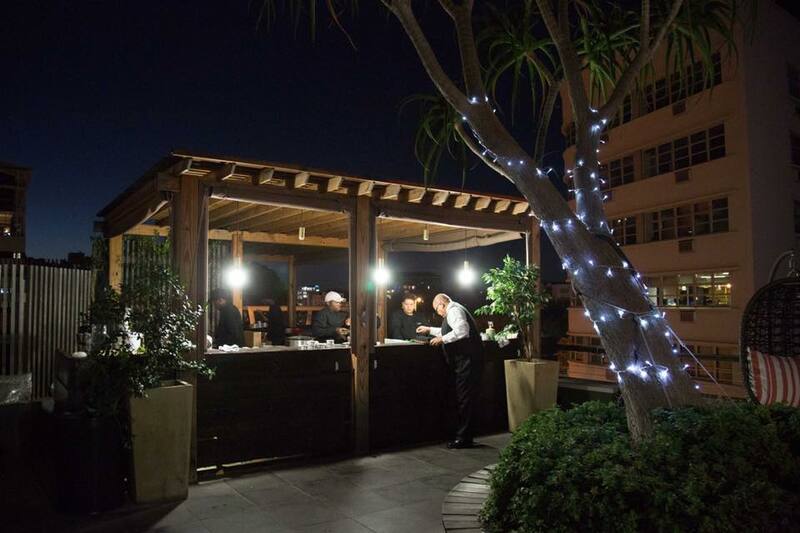 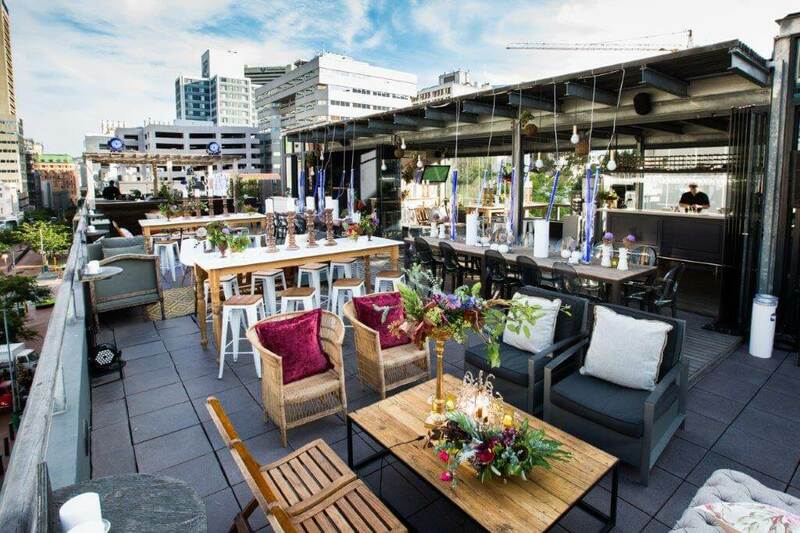 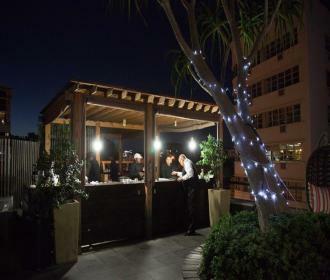 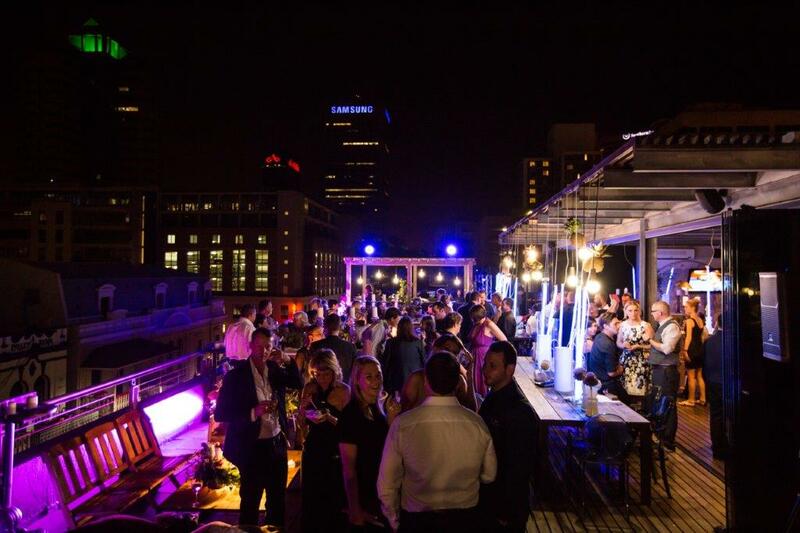 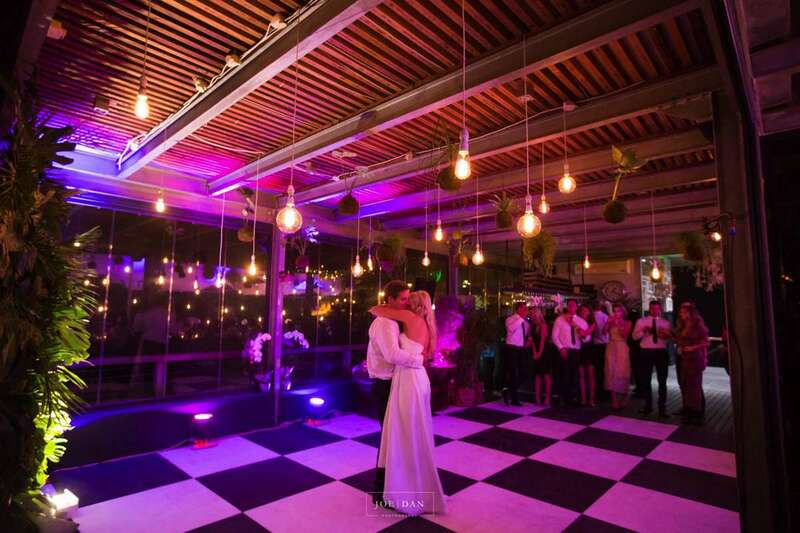 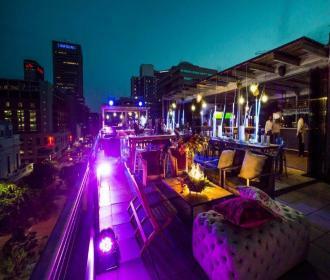 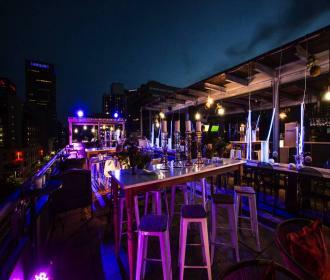 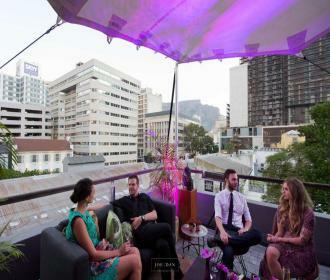 "The New York style rooftop bar and lounge can accommodate up to 220 people, with a modern bar and kitchen making it the perfect location for upmarket events. 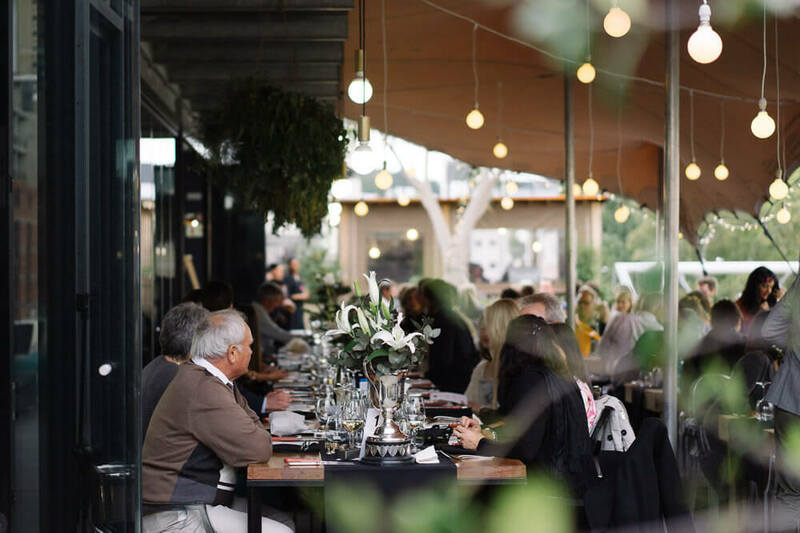 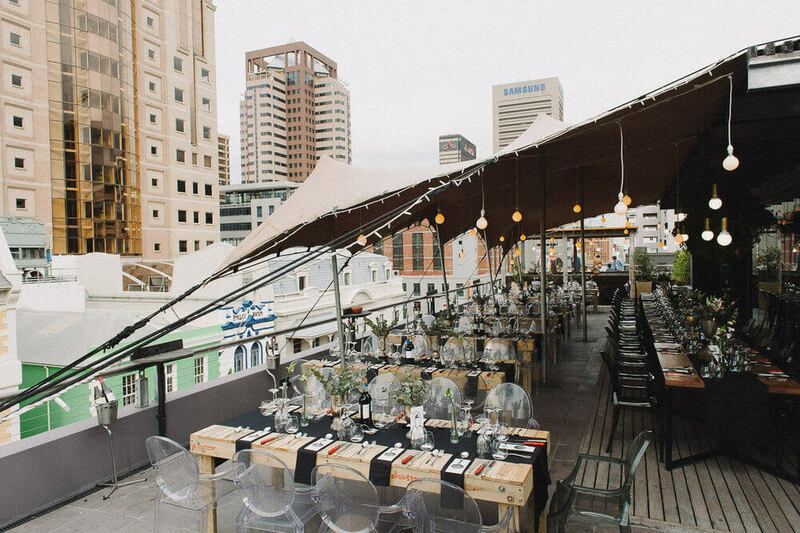 From end-of-year functions, engagement & birthday parties and bar mitzvahs, the space can even host 120 people for a seated wedding reception. 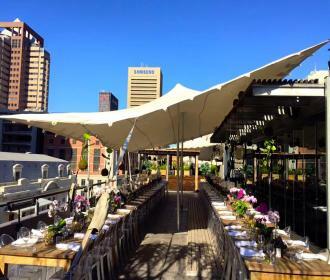 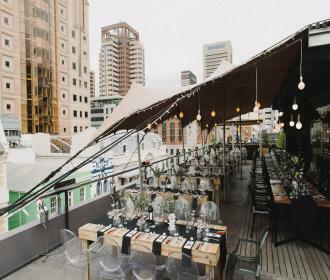 Partly covered, it works that the Cartel Rooftop is in the heart of Cape Town and a tent can be rented should it worry you about the weather. 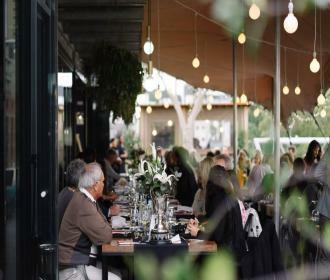 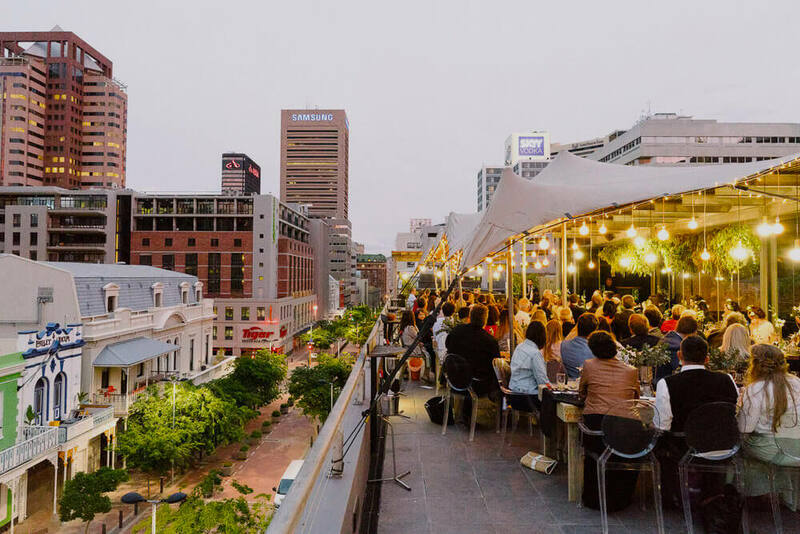 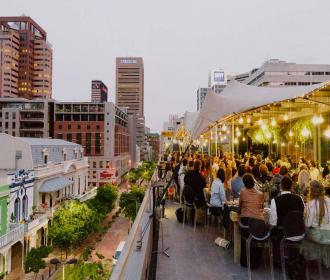 It’s the largest rooftop space in Cape Town, and they even offer 80 parking bays across the fan walk bridge – available free of charge after hours and on weekends.